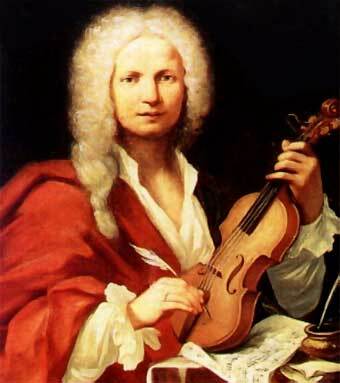 Happy Birthday, Father Antonio Vivaldi! Great composers don’t always “get” other great composers. Berlioz, in his idolatry of Gluck, devalued both Lully and Handel in irrelevant comparisons to the great reformer. Stravinsky, despite a semi-comprehending admiration for Gesualdo and Pergolesi (whom his imagination tended to recast in his own image), seemed unable to imagine earlier styles of music on their own terms and famously dismissed Vivaldi by saying that “he didn’t compose 400 concertos; he composed one concerto 400 times.” Given the skewed view that once existed of the Italian Baroque and how its music had originally been played, it’s understandable that this music — which is above all “performer’s music” not “analyst’s music” — didn’t reveal its extravagant charms. The charms were not those of the Urtext generation. Goodness knows that the zillions of vinyl representations of Vivaldi’s music that Nonesuch issued in the 1960s, with performances in which provincial German orchestras sawed away rather mechanically, may not go far to explain the dizzying rise in popularity that the music of “The Red Priest” nevertheless enjoyed. Stravinsky probably didn’t know about the many written accounts of performances of that repertory when it was new. These are replete with descriptions of passionate playing of a sort that we don’t see enough of these days, with audience reactions that often involved even the loss of emotional control. This was not the scenario at Vivaldi performances of, say, the Stuttgart Chamber Orchestra — or, for that matter, the Chamber Music Society of Lincoln Center — during the century just past. The succeeding movements of this concerto are on YouTube as well.